Job boards are alive and well in the staffing industry, but not without some healthy competition from LinkedIn and the ever-evolving world of social media. Try not to think of one as a substitute for the other. Both platforms offer unique advantages when it comes to marketing your skills and finding the job of your dreams. The appeal of job boards like Monster, Dice, and CareerBuilder is three-fold; (1) job-seekers have access to a database filled with opportunities, (2) staffing agencies have access to a database filled with job-seekers, and (3) companies increase their chances of finding the best candidates by advertising on a public forum. Everybody wins. The benefits of LinkedIn, on the other hand, involve a more nuanced approach. Allow me to break down how you can distinguish yourself from the competition by adding dimension to your resume, demonstrating your expertise, and building up your professional network. Adding Dimension to Your Resume: When using job boards, the only way for recruiters and hiring managers to gauge your qualifications is by sifting through the degrees, certifications and work history listed on your resume. Surely that information belongs in the conversation, but what about personality traits and other x-factors that don’t quite translate onto a Word document? LinkedIn allows you to expand on your bare-boned credentials by creating a multi-faceted profile, much like Facebook and other forms of social media. Add a professional photo, list your favorite hobbies, share your favorite sports teams – the more you include the better when it comes to forming a complete picture and standing out! Behind every job applicant is a human being, and the profile feature really allows that humanity to shine through. Demonstrate Your Expertise: According to Tyler Loechner of Real-Time Daily, “Nearly 90% of marketers believe that content marketing is the future, ‘moving beyond segmentation to true one-to-one personalization in real-time context,’ per a new report from Teradata.” It’s called social media for a reason; people become much more responsive in the context of a conversation than they do in a lecture. Engagement is key. While your profile illustrates who you are and where you came from, your continued activity on LinkedIn reinforces the merits of your profile and provides insight about where you’re trending. For example, if you suddenly become an expert on Big Data, you can demonstrate your newfound expertise despite the absence of any relevant work experience. Share articles and infographics, provide thoughtful commentary, join interest groups, and take advantage of the “Pulse” feature to track your progress and reach your target audience. Show the world that you are actively invested. Bonus tip: “How To” posts perform better on LinkedIn than all other posts combined! 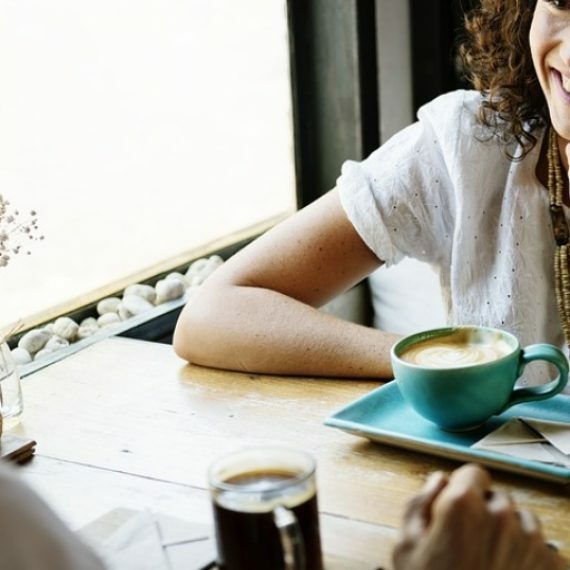 Building Up Your Professional Network: Unlike Facebook and most other social media platforms, connecting with strangers on LinkedIn is not only acceptable but encouraged. Think of it like a job fair, where you can introduce yourself and form relationships with important people in your industry. This is how you build a target audience for content marketing, as well as get your name out to potential employers. When you connect with somebody on LinkedIn, anybody else who connected with that person now falls into the category of a “second-degree” connection, allowing you to connect with and/or InMail these individuals to further expand your network. Even third-degree connections (those who connected with your second-degree connections) become eligible for InMail, so you can see how every connection goes a long way. You also have a chance to gain insights about potential employers and generate conversation based on mutual interests. After all, the best way to stand out is to form genuine and meaningful relationships. When pursuing your dream job, never lose sight of the fact that the staffing industry thrives on human interaction. I don’t suspect resumes will go extinct anytime soon, but recruiters and hiring managers want to see more than just credentials. They want to explore how those credentials – and other life experiences – have manifested into the person you are today. They want to understand how you interact in a dynamic work environment, and in the context of an existing culture. They want to see you as a person rather than a list of accomplishments, and LinkedIn is the perfect platform to make that happen.